For thousands of years, the inner gel of the Aloe Vera plant has been treasured for its ability to alleviate human ailments and rejuvenate and restore skin. Until recently it was necessary to extract fresh gel from the plant and use it immediately; once removed from the plant, the gel began losing its natural goodness. Now, thanks to the processing method used in Miracle of Aloe® products, we are able to preserve and enhance the beneficial properties of our gel, making it as if virtually fresh from a live Aloe Vera plant. 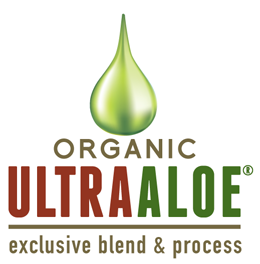 This exciting method begins with the careful selection of healthy, mature Aloe leaves. Once harvested, the whole leaves are immediately subjected to a series of complex grinding and filtering procedures, that when completed, yields a purified gel containing more than two hundred individual constituents, including vitamins, essential minerals, glycoproteins, amino acids, polysaccharides, and enzymes. Then, using a proprietary process, the raw gel is subjected to an enhancement phase until finally producing the super- enriched, more powerful gel, Ultra Aloe. Utilizing this exclusive gel, Miracle of Aloe® ensures consumers are getting the most effective Aloe Vera products available.